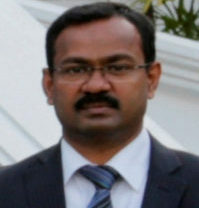 Deputy Consul General for Sri Lanka in Toronto, H.M.B. 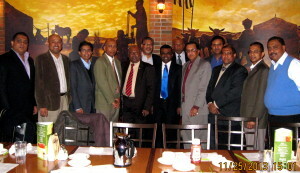 Herath was accorded a historic farewell on August 22nd at the prestigious Richmond Hill Country Club. 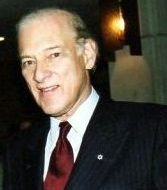 The senior diplomat completed his 3-year term in office in Toronto, and was on an extension of six months. Mr. Herath will be taking up duties next month as Consul General for Sri Lanka in Karachi, Pakistan and hope to leave for his new station directly from Toronto. 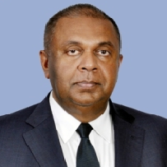 Due to this development, the two bilateral business councils based in Toronto promoting trade and investment for Sri Lanka and Pakistan joined hands and accorded a joint farewell to Mr. Herath. 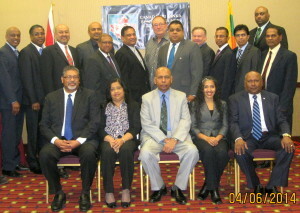 Canada-Sri Lanka Business Council headed by Upali Obeyesekere and Canada-Pakistan Business Council headed by Samir Dossal were instrumental in planning the logistics for this event. 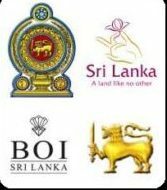 This is the first time in the history of both councils that such an event has been organized jointly and augurs well for Sri Lanka/Pakistan commercial relations. 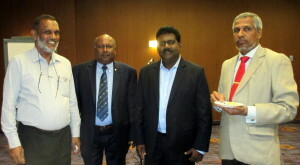 Members of both councils were invited for the farewell luncheon that was attended by the two Consuls General for Sri Lanka (Karunarathna Paranawithana) and Pakistan (Mohammad Nafees Zakaria). The group photo on top captures the attendees at the farewell lunch while the photo here features from L to R: H.M.B. 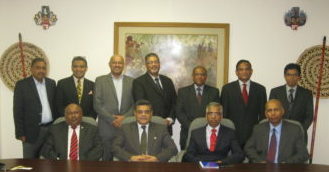 Herath (Deputy Consul General, Sri Lanka), Samir Dossal (President, C-PBC), Karu Paranawithana (Consul General for Sri Lanka), Mohammad Nafees Zakaria (Consul General for Pakistan), Upali Obeyesekere (President, CSLBC) and Asghar Ali Golo (Deputy Consul General, Pakistan). 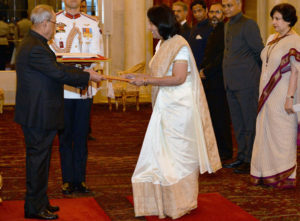 Bilateral trade which includes Imports/Exports and balance of trade both have improved steadily in the last few years and the outgoing diplomat H.M.B. Herath has been directly responsible for this upward trend. 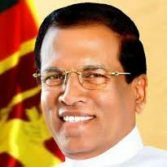 An experienced officer, he is credited for the increase in imports from Sri Lanka to Canada specially in Tea, Rubber and Allied Products. 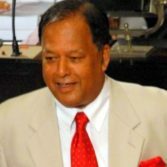 During his three-and-a-half years in Toronto, Herath also organized two trade mission to Sri Lanka and hosted the same number of incoming missions to Canada. All in all, a job well done. 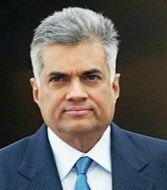 His new posting will offer fresh challenges as the balance of trade between Pakistan and Sri Lanka is much higher than that of Canada and Sri Lanka. 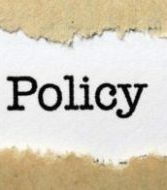 In Toronto, the Deputy Consul General post includes duties relating to Trade and Economic matters. 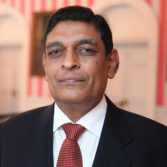 Prior to his stint in Toronto, Herath served as Sri Lanka Trade Commissioner (Minister Counsellor) for 4-years in London, England and 6-years in the same post promoting trade and investment in Chennai, India. 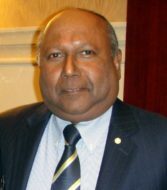 Mr. Herath has had the pleasure serving under Sri Lanka High Commissioner H.E. 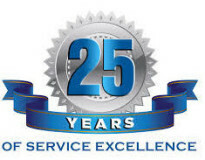 (Mrs.) Chitranganee Wagiswara twice – once in London, England and more recently in Canada.